Dates Set for 2019 Movies in the Park! Movies in the Park Summer 2019 Dates have been set! June 15, 2019 July 20, 2019 August 17, 2019 Movies to be determined. Have a suggestion? Email us! 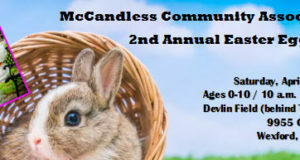 Join us for the McCandless Community Association’s Annual Easter Egg Hunt! Join us for our Valentine Hearts & Crafts Event!! Senior Jingle Bell Brunch A Success! Pumpkin Party in the Park! © Copyright 2018, All Rights Reserved. | Powered by WordPress | Designed by McCandless Community Association. 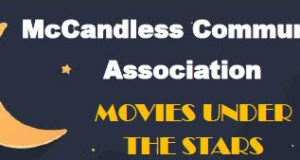 Use of copyrighted materials, logo and content expressly prohibited.